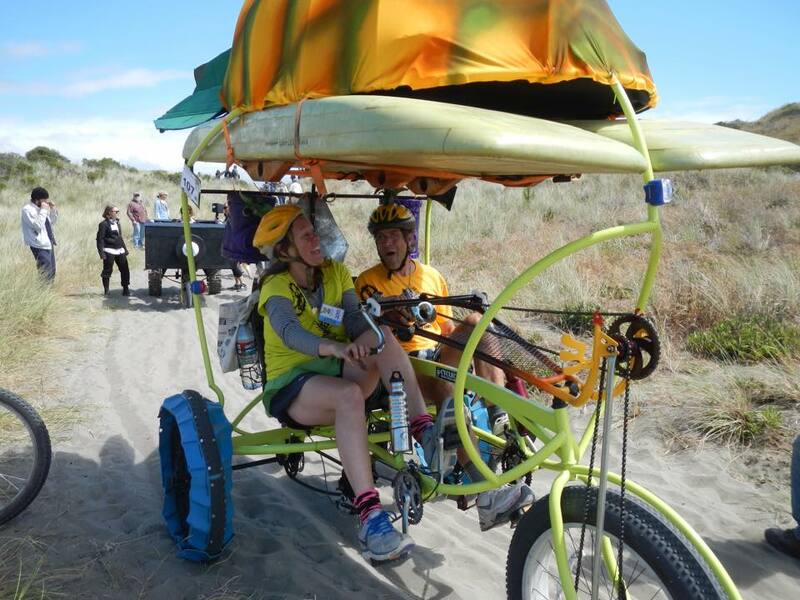 Welcome to Pineapple Trikes! Bob and Dawn are artists, designers, kinetic enthusiasts, educators and tricycle builders, living in Northern California. Our first offering to the public is our Sociable Tandem Cargo Trike. We designed, built and have been riding ours around for around a year, now, and we love it! You can be one of 10 folks to Pre-order and receive a Basic Model Cargo Cruiser for $1,950. Click on the “Pre-order” link, up above, to get started. Facts about bikes and trikes: Did you know that “99% of the bicycles sold in the United States are made in either China (93%) or Taiwan (6%).” We know that the current infrastructure needs to change to encourage safe and fun trike riding in California. We also know that since 99% of bikes are currently made in China (96%) and Taiwan (4%) that we need to encourage the GoLocal movement to make inroads into the bike building community. Even though Trek bikes claims to be the largest domestic bike builder in the USA, and is the largest manufacturer of bicycles in the United States, it employs more people than any other bicycle company in the United States. Trek public relations manager Eric Bjorling says that out of the appoximately 1.5 million bicycles the company produces annually, about 10,000 are made in the United States.” That is only .67% folks… which is less than 1%. Greetings from Yorkshire UK. This would be perfect for the plains of York. Sadly our repressive government thinks it is too wide to be allowed on our roads.